Tavern Stara Pesma is opened at the end of 2012. In very short notice it has become one of leading places for this type of entertainment, most popular type of entertainment in capital. It's located in heart of Belgrade, at No 12 Bulevar Vojvode Mišića Street, between Home Center Eurosalon and entrance ramp at Belgrade fair, at place of former restaurant Bolero. Tavern Stara Pesma is consists of two parts, that actually make one compact unit. Stage is located in one part, while in the other are bar and beautiful file place that makes this place even more authentic. Tavern has small, medium and big table seating as well as original barrels, which means that everyone can find perfect spot. 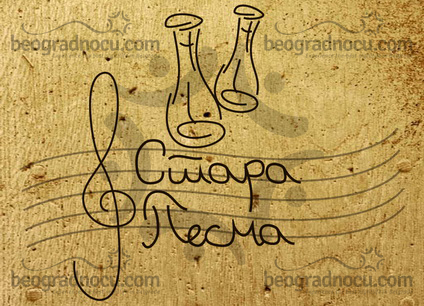 In tavern Stara Pesma many music stars had live performances, such as Vesna Zmijanac, Mira Škorić and many others. Tavern Stara Pesma works five days a week from 10 pm to 4 am. Besides professional staff and impeccable service, tavern Stara Pesma has very affordable prices. So, do not miss a chance and stop by in one of the most popular taverns in Belgrade and make sure at unforgettable fun that you can find here.